Violent protests in the area erupted on Thursday after the IEC announced the results of the by-election. Two schools were burnt this weekend in Thabana village in Siyabuswa in Mpumalanga, allegedly by a crowd of community members who were dissatisfied with the outcome of a by-election in the area on Wednesday, Mpumalanga police said on Saturday. 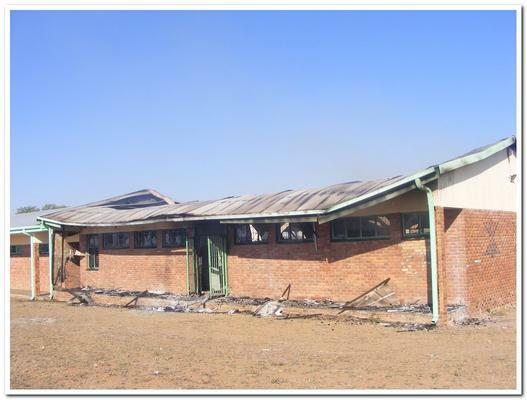 “Siyathokoza Senior Secondary School and Thabana Senior Phase School were apparently set ablaze between yesterday [Friday] evening and this [Saturday] morning,” Brigadier Leonard Hlathi said. “The situation is quiet now and the police are monitoring the area. No arrests have been made,” he said. Mpumalanga education department spokesman Jasper Zwane said there was “no justification for this barbaric act”. “What will happen with learners on Monday, considering the fact that they are currently writing their mid-year examinations? The department will deploy officials to the two schools to assess the damage and to further advise on other related teaching and learning processes,” he said. African National Congress spokesman for the Nkangala region Sello Matshoga told the African News Agency (ANA) that violent protests in the area erupted on Thursday after the Electoral Commission of South Africa (IEC) announced that ANC candidate Phumzile Mnguni beat independent candidate Lucky Ntuli. “A crowd of people barricaded the streets and marched to the local offices of the IEC. The crowd claimed the outcome of the election was not the true reflection of the by-election. We say we won the ward 7 fairly and they must go to court if they are not satisfied,” Matshoga said. Ntuli had been an ANC member but registered as an independent candidate in May and contested the by-election. He told ANA on Saturday that he rejected the outcome of the by-election because “there were many bad things that happened during the voting process”. “The burning of the schools is a criminal element and it has not been committed by the people who supported me,” said Ntuli.